We bring free collaboration tools to your world. Small non-profits hate to spend real dollars on “overhead.” You’d rather spend volunteer time to get stuff done than spend cash to save time and effort. We get that … so we don’t charge you anything to use our tools. Our tools are all about reducing the amount of time you, your staff, and your volunteers spend on administrative tasks … so you can get more done … without reducing your organization’s cash. We’re a non-profit supported by donations from people just like you, as well as corporations and foundations that recognize the importance of capacity-building and the necessity of “overhead”. The more donations we receive, the more tools we provide … that’s the way it works. 63 Million Americans spend 7.8 Billion hours per year volunteering for a reason. They contribute their time and talent toward a purpose, and in the process find a purpose for themselves. From board service to food service, volunteers contribute ~$184 Billion of value to the US economy every year in often underserved and neglected areas. 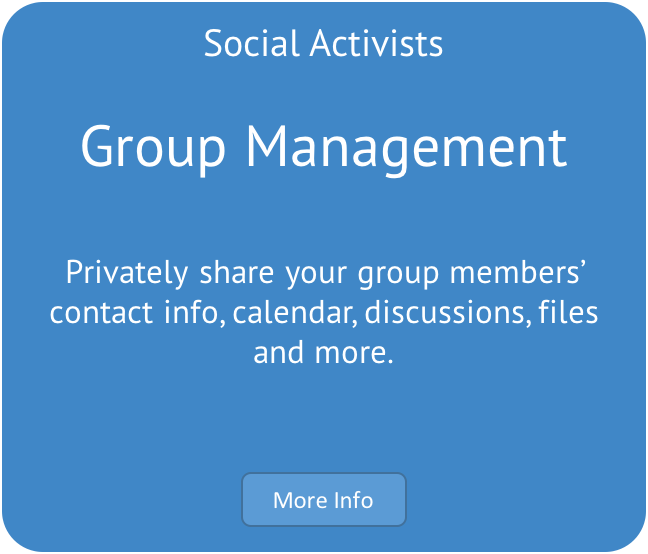 … by making up-to-date information available to all group members when and where they need it. 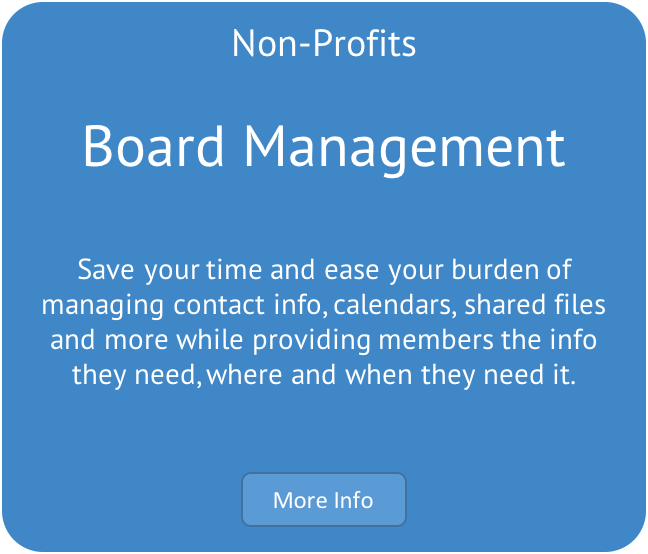 Less time tracking down old information, and less time herding-the-cats, means more time delivering the programs and services for the non-profit. 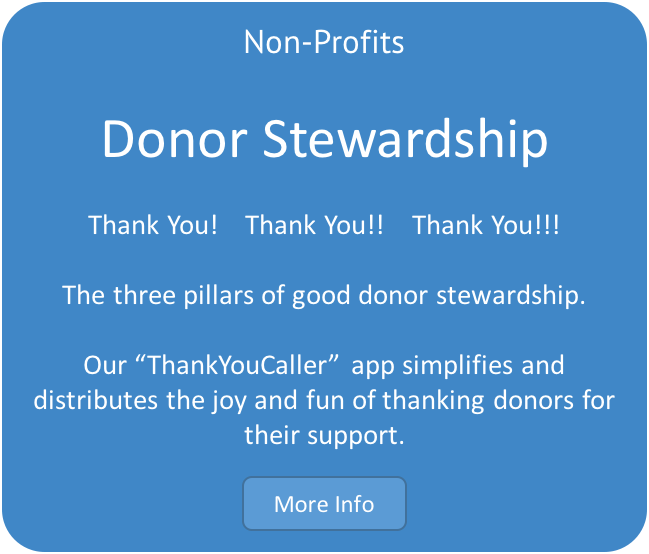 Non-profit staff and volunteers are “servers and sacrificers,” always willing to assume more burden on themselves in order to maximize resources directed at their goal. At the same time, non-profit financial reporting requirements create an unhealthy emphasis on “overhead ratios” and an unsustainable culture of underfunded infrastructure, from staff professional training to IT infrastructure. Rather than fight that reality, we embrace it with our business model so we ourselves walk-the-walk in delivering these tools to non-profits. We have that policy because it best serves the people using our tools. 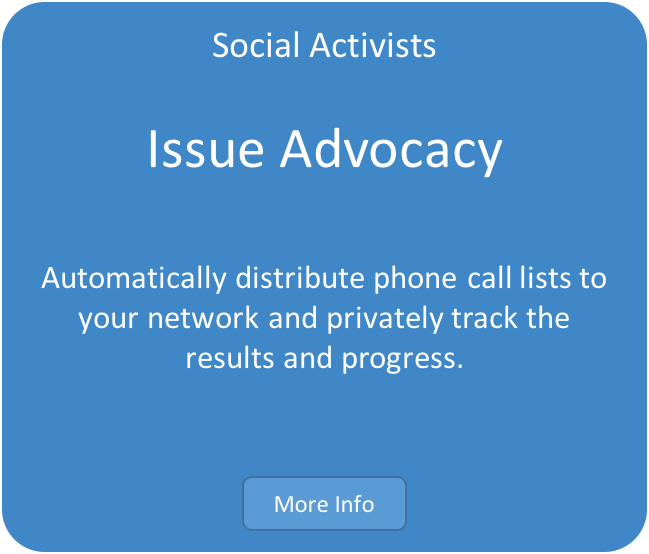 As wonderful as Facebook, Google Groups and other “free” services appear to be, their privacy policies are unacceptable to enough potential volunteers that make it impossible for non-profits to use those tools for serious volunteer engagement. Volunteers should not be required to provide personally identifiable information that is then made available to commercial interests for their own monetization. Because we’re all about INCREASING the amount of volunteers and volunteer hours at non-profits, we need to be accessible to everyone across every level of privacy concerns.